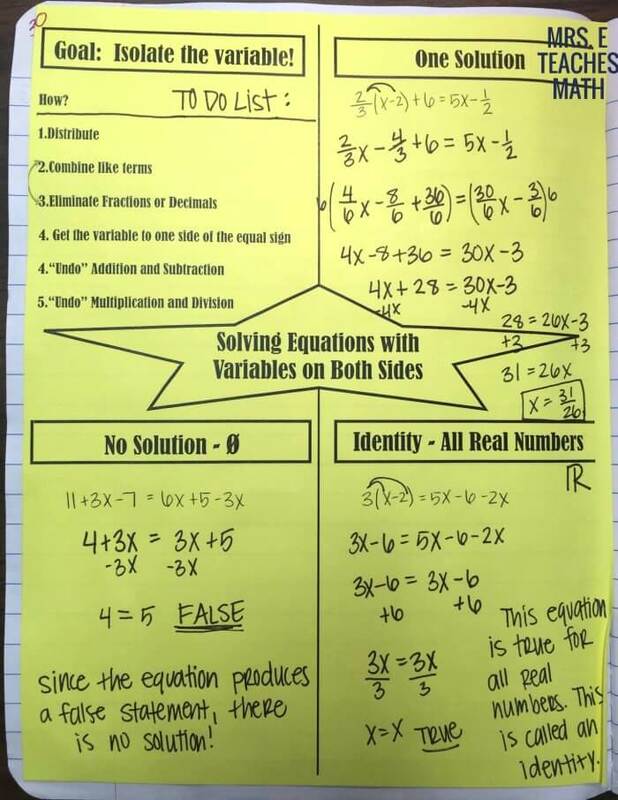 I’m starting to wrap up my solving equations unit in Algebra 1. My kids are doing well. This entire unit seemed to be a review from their Pre-Algebra class last year. First, I created a page for solving two-step equations. I used the weightlifter as an analogy to keep the sides balanced. I also added an extra example on the blue post-it at the last minute. 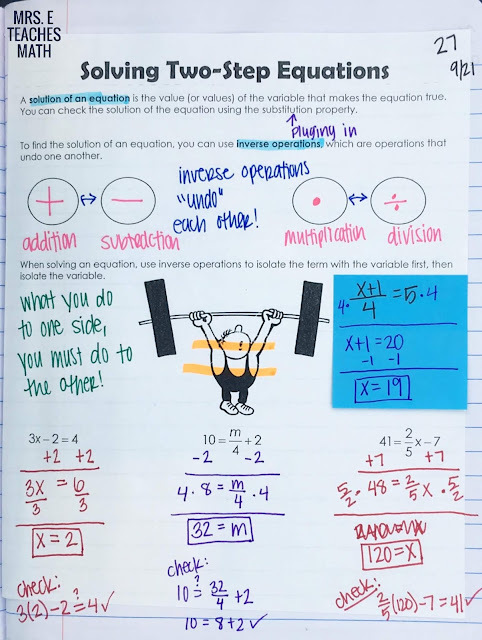 I thought about using the two-step equations page that I designed before, but I didn’t have enough paint samples and I wanted to use the paint samples if I used that page. 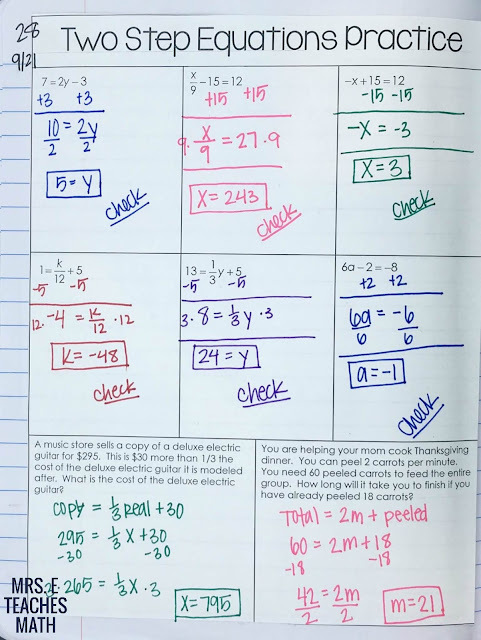 On the next page, I had students do practice. Then, I used a flip book for Solving Multi-Step Equations. I don’t have a picture of it though. I taught multi-step equations over four days. The first day, I only did examples where they had to combine like terms before solving. The second day, we did problems with variables on both sides. 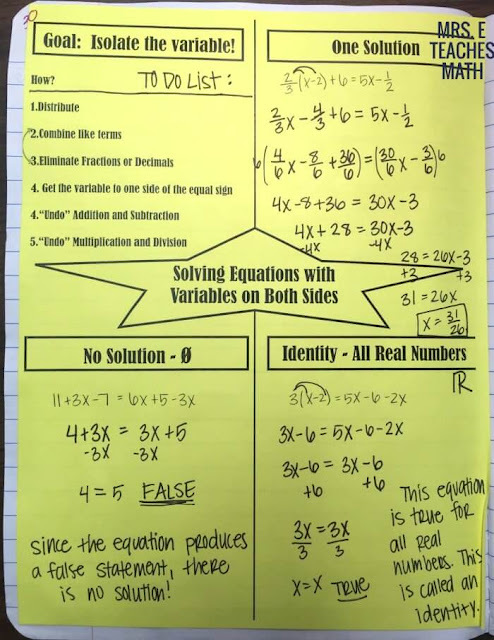 The third day, we did examples of variables on both sides, including no solution and identity. Last, we did problems with lots of fractions. I think this approach worked. I’m glad that I spent so much time here. To sum it all up, we did this graphic organizer. I think next year, I will do a similar layout, but have them create it themselves. I can't remember where I found this graphic organizer, so if you know, let me know so I can link it! 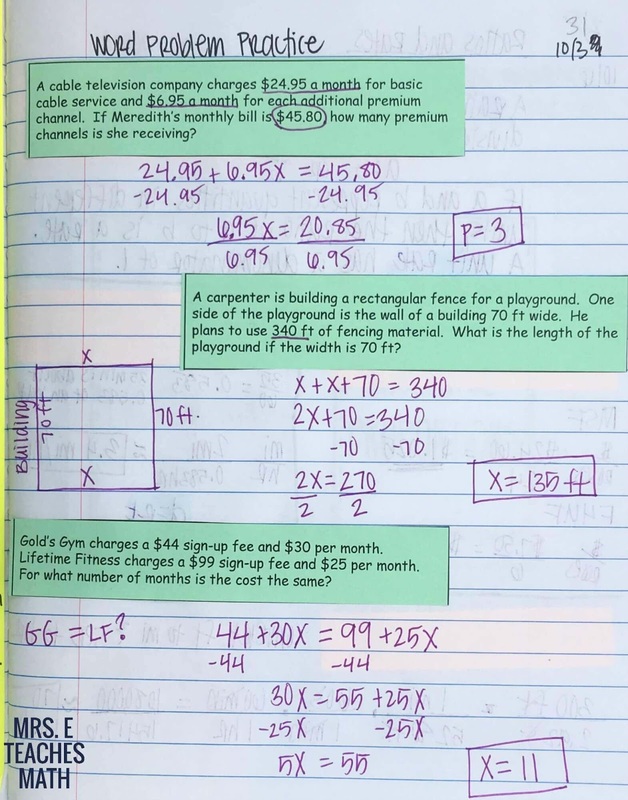 The next page was practice with word problems. I just typed out a few words problems that we did together - nothing fancy. I did a mid-chapter test for this unit. Up next were proportions! 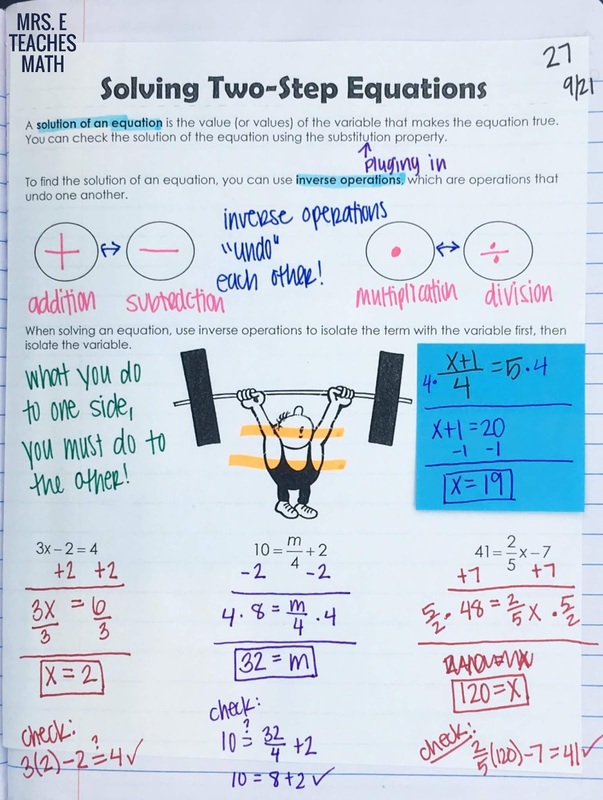 The graphic organizer is for solving equations with variables on both sides is a free resource at Teachers Pay Teachers. Is there a way to get these resources? I don't seem to see a way to download them or purchase them from your TPT store.